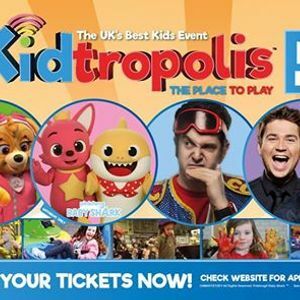 Come and Play at Kidtropolis - The UK's Best Kid's Event! Saturday 13th - Monday 15th April 2019 at Birmingham’s NEC! 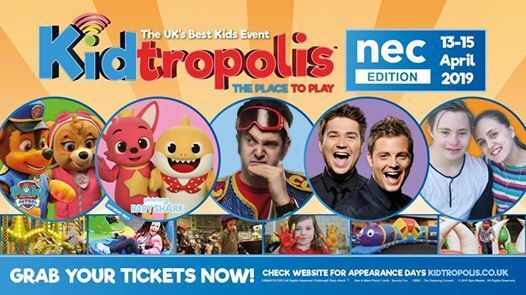 Due to popular demand and back for the second year, Kidtropolis is back at Birmingham’s NEC in April 2019! Packed full of live entertainment, shows, toys, games, characters and family brands, there's something for all the family at Kidtropolis. You won't find this much variety of fun under one roof, anywhere else in the UK. Get your dancing shoes on, get those fins at the ready and standby because the Baby Shark mini Live show is coming to Kidtropolis – The UK’s Best Kids Event, on Saturday 13th April 2019! The Baby Shark Live mini show will feature Pinkfong and his best friend Baby Shark, as they dance along with two hilarious hosts with their bonkers antics. As well as bespoke interactive videos from the channel, kids and grown-ups alike will be busting some moves to the original track known by everyone.The mini show will be performed twice in the morning and twice in the afternoon. There will also be opportunities to see and photograph the characters at intervals in the morning and afternoon sessions on Saturday 13th April. Activity announcements for this year’s show have just started with a 200ft long MEGA inflatable Labyrinth assault course where children can venture through The Arctic, Egyptian Era and a Jungle. Visitors are advised to purchase tickets as soon as possible, to avoid disappointment! With tickets starting at just £12*, this is an event not to be missed! Your ticket is valid for four hours. * Price excludes booking fee and transaction fee. All content is subject to availability. 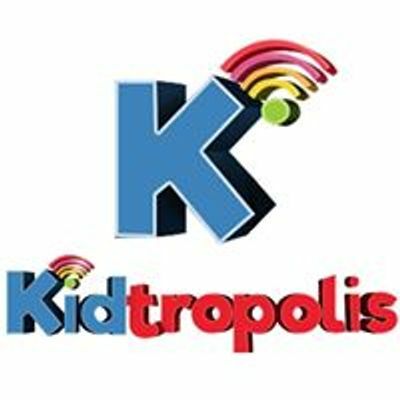 Kidtropolis Terms and Conditions Apply. Talent appearances are subject to work commitments. Please note: We have a no lone adult entry policy.